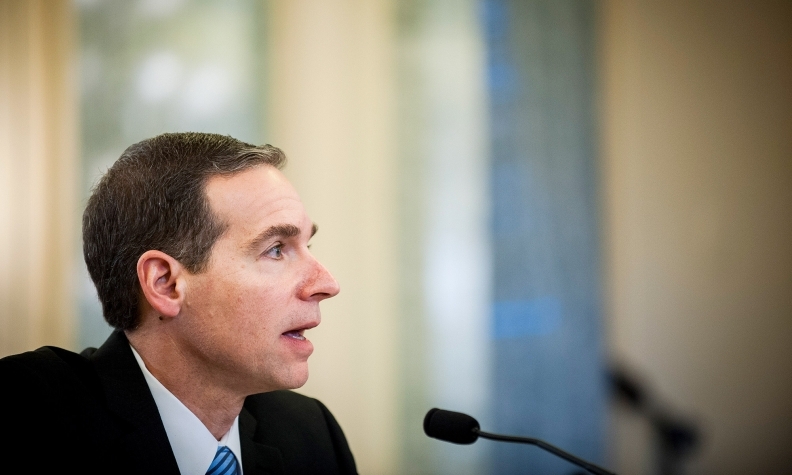 Scott Kunselman, FCA's vehicle safety and regulatory compliance chief, testified at congressional hearings this past summer. The soft-spoken engineering executive who served as the face of Fiat Chrysler in its latest travails with federal safety regulators and Congress will retire next month and join the administration of Oakland University in suburban Detroit. Scott Kunselman, 52, FCA’s senior vice president of vehicle safety and regulatory affairs, will retire Nov. 30 after 30 years with the automaker and its corporate predecessors, the company said today. Kunselman will join Oakland University -- which is located just a few miles from FCA’s Auburn Hills headquarters north of Detroit -- on Dec. 1 in the newly created role of COO, the university announced today. Kunselman, who had previously served as FCA’s head of purchasing, had been serving as a member of Oakland University’s board of trustees. Kunselman, a mechanical engineer, joined Chrysler in 1985 and worked in a variety of jobs during his career in Auburn Hills, including as head of engineering in 2009 and head of purchasing and supplier quality beginning in 2012. Last year, amid a flurry of ongoing recalls and investigations by the National Highway Traffic Safety Administration, Kunselman was tapped by FCA CEO Sergio Marchionne to restore the company’s safety and engineering reputation. That job included testifying before Congressional committees and negotiating with NHTSA a wide-ranging $105 million consent decree earlier this year. Kunselman’s retirement announcement is the latest in a string of top management changes at FCA this month. Two former brand heads, Saad Chehab and Jason Stoicevich, resigned from the company while Jeep brand head Mike Manley and Dodge brand head Tim Kuniskis were given broader responsibilities for other brands.